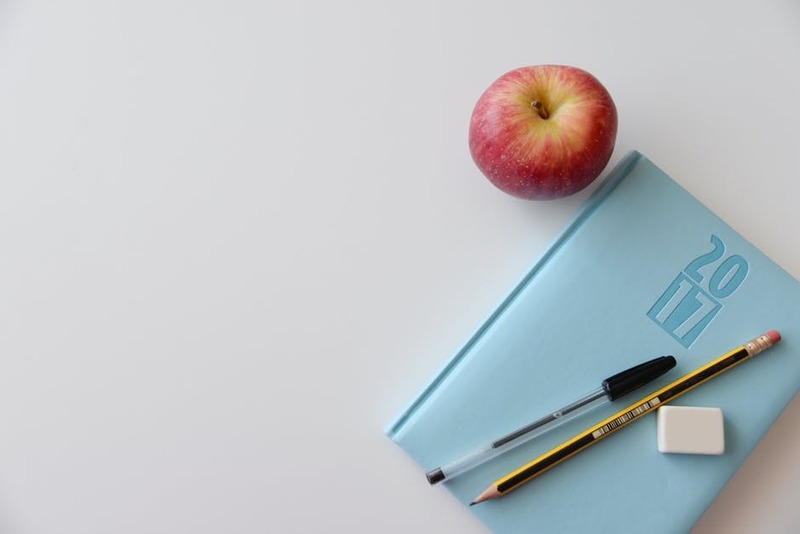 As the school bell rings in the official end of Summer vacation and day planners quickly fill with deadlines and activities - it is easy to find ourselves feeling a little overwhelmed this time of year. Whether it's you or a loved one that's back to hitting the books, everyone feels the shift in their daily schedule, the rush hour traffic and the weather. Grab a piece of paper and take some time to consciously set goals for yourself and the coming season. What exactly is it that you are looking to accomplish with your time, energy, finances, daily habits, and relationships these last few months of the year? Write out everything that comes to mind without hesitation, then go back and be real with yourself about what is actually achievable for you at this time. Narrow your list down to five or so goals, write them BIG on a new sheet of paper and then place them somewhere you will see on a daily basis. Be consistent in your actions toward achieving your goals and watch how your life expands in the most magnificent of ways. Establishing a daily routine is a great way to stay grounded when life, homework, and daily activities pick up in pace. Set an intention do the same things (wake up, exercise, eat, go to bed, etc.) at roughly the same time every day in order to balance an increasingly busy schedule. It’s ok if your routine alters slightly from day to day, as scheduling curveballs are bound to happen. The point is to just keep trying. Best advice: choose ONE activity you can commit to doing daily. Such as waking up at 6am and working out, going to bed by 10p, or even something as simple as making time to eat breakfast before running out the door. Start with one and then add on to your routine as you feel ready. With time, your favorite routines will become more like rituals that add flavor and sanctity to your life. Colds spread like wildfire this time of year, especially among our kids. Fluctuating temps, dirty hands, atmospheric mold, and physical overexertion are a few main culprits that weaken our immunity and make us more likely to catch and spread the cold or flu. Kick a potential virus before it starts by actively boosting the immunity of you and your family today. Wash you hands religiously, sanitize the door handles of your home, take your vitamins and eat whole foods to help keep your body strong and able to combat those microscopic invaders. Have you too began to notice the subtle fall chill in the air? It is still pretty warm out but every once in awhile that wind feels noticeably cooler. Our neck is easily the most exposed part of our body at all times. A narrow gateway connecting our sinuses and our lungs - and oh man is it sensitive. When a virus strikes, it hits the weakest part of us first, which is why many colds begin with sore or scratchy throats. A scarf is a great transitional accessory that keeps your neck protected and warm, without being too cumbersome or overheating - especially awesome for those overly air conditioned restaurants or offices. As the trees lose their leaves, so must we ritually shed old skin and old ways of doing things. Let go of thoughts, emotions, conversations, and ways of being that are not in your best interest anymore. The things that hurt you - let them go. All the crap around your house you don’t need - get rid of it. Last years grades, negative self- talk, unhealthy relationships - cut them loose. Whatever it is that small voice in your mind has told you to release from your life - do it. Letting go makes space for the things that are to come. It makes us strong and resilient, and opens us to our greater potential. Have a happy and healthy back to school season!